Nature's Mold Rx Nature's Mold Rx: OZONE: Is It SAFE AND EFFECTIVE FOR MOLD REMEDIATION? OZONE: Is It SAFE AND EFFECTIVE FOR MOLD REMEDIATION? As a professional environmental engineer dealing with indoor air quality issues for many years I have tried, tested and otherwise investigated virtually every mold remediation method out there. In field tests conducted in 2005, I discovered that certain pure essential oils are more effective, longer-lasting and safer than toxic chemicals such as bleach, bactericides and pesticides, as well as ultraviolet light (UV) and ozone, and all other hazardous substances that are commonly used for mold remediation. In 2007, my wife, Jacquelyn A. 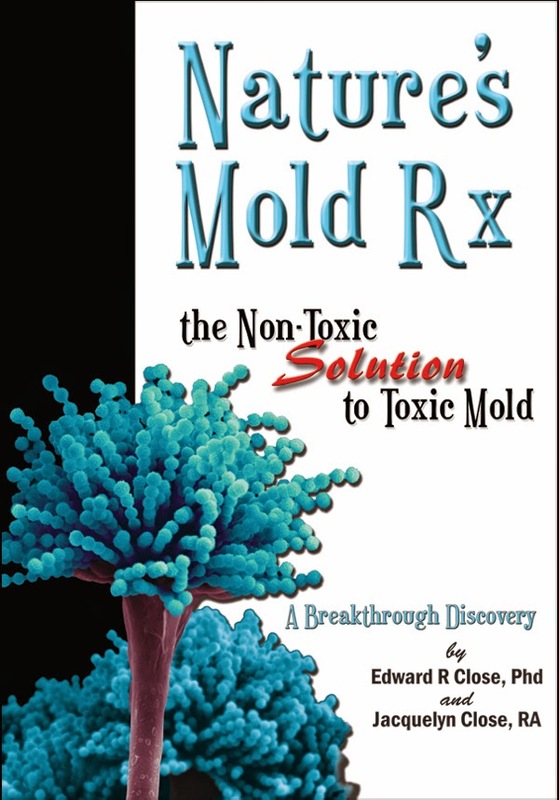 Close, and I published the protocol used in 20 case studies with laboratory analytical data in our book Nature’s Mold Rx, the Non-Toxic Solution to Toxic Mold. We also compared the protocol using essential oils with other methods of remediation and explained some of the problems associated with the use of bleach, UV and ozone. All three are dangerous substances that can cause serious health problems, the mold remediation they accomplish is superficial at best, and they almost always fail to address the sources of serious mold infestation. Environmental professionals have known this for at least a decade, but we’ve learned much more about ozone since the publication of Nature’s Mold Rx in 2007, and the purpose of this article is to provide you with an update. We have had several clients who have spent thousands of dollars on ozone generating units for mold problems, only to find them ineffective, or in some cases, causative of worse problems than mold. Unfortunately, they were victims of companies whose marketing campaigns misrepresented the facts. Companies promoting the use of ozone for mold remediation in homes and offices are either ignorant of the facts, or, worst case, using deliberately misleading ads. According to some of these ads, ozone generators will not only remove the musty odor of mold, it will solve mold infestation problems by killing the mold. But such ads fail to mention that at levels needed to kill mold, human beings, pets, houseplants, rubber, leather, some fabrics, artwork, and electrical wiring, can be damaged by the oxidizing action of ozone. Exposure to ozone levels high enough to kill mold spores can lead to allergy-like reactions, chest pains, asthma attacks and breathing problems. Long-term exposure to ozone can cause permanent damage and weaken the body’s ability to fight infection, which can lead to cancer and other life-threatening diseases. Ozone is a molecule composed of three atoms of oxygen. While the more stable two-atom oxygen is essential to life on this planet, ozone’s third oxygen atom is more weakly attached, allowing it to attach to molecules of other substances, producing a chemical reaction known as oxidation. It is ozone’s ability to oxidize and destroy biological molecules that makes it a potential fungicide and dangerous to human health at the same time. Studies have shown that when ozone reacts with certain chemicals often used in paints and cleaners, it can produce horrible odors and harmful, irritating by-products like volatile organic chemicals such as aldehydes and formic acid. It is especially important to be aware of ozone’s known effects on human health, not only for those with compromised immune systems, such as those recovering from debilitating disease, surgery, or the side effects of drugs, but also because of its known effects on the very young and the elderly. Ozone does not stop oxidizing biological molecules when it is taken into the body of a human being or pet. The extra oxygen atom is a powerful oxidizing radical. Free radicals, including oxygen radicals, are extremely damaging to our health, and are the opposite of anti-oxidants that we are encouraged to take to improve our health. Even low levels of ozone can damage the mucus membrane, sinus cavities and lungs. Well-documented scientific and medical facts form the basis for a number of health standards related to ozone. In addition to the EPA, three other government agencies, including the Food and Drug Administration (FDA), the Occupational Safety and Health Administration (OSHA), and the National Institute of Occupational Safety and Health (NIOSH) have set standards and restrictions on ozone exposure for worker and public safety. Like a lot of other things, ozone is not all bad. It can be used to remove odors from materials recovered from fires. But this is done only under carefully controlled conditions, using air-tight chambers built for that purpose. Smoke damaged objects and materials are placed in a sealed chamber with high levels of ozone for a period of 24 hours or longer. Then, the ozone is pumped out of the chamber and thoroughly flushed with fresh air before anyone can safely enter and remove the contents. Studies show that to kill bacteria and mold, the ozone levels must be at least ten times higher than the public health standards allow. The effectiveness of this process using ozone to restore smoke-damaged materials led some manufacturers of environmental remediation equipment to speculate that ozone might be used to restore mold-contaminated objects. However, studies show that to kill bacteria and mold, the ozone levels must be at least ten times higher than the public health standards allow. 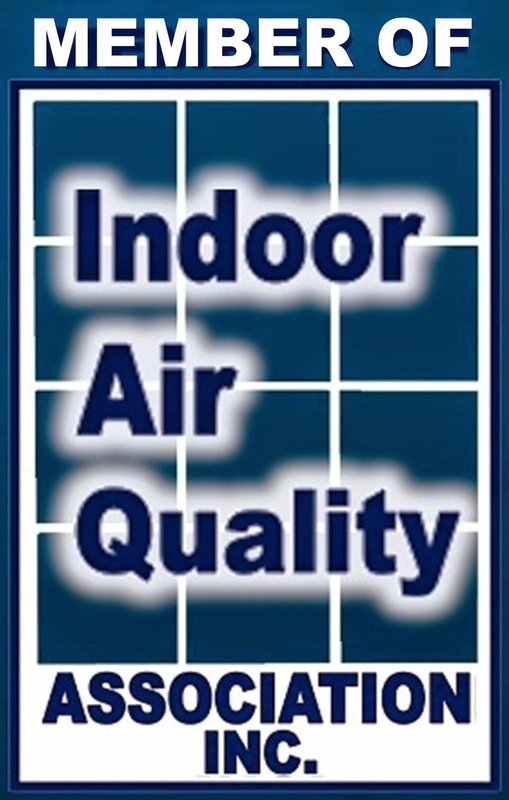 A study done by the restoration industry concluded that even very high levels of ozone will not kill bacteria and mold embedded in porous materials like HVAC duct lining and acoustic ceiling tiles; and many restoration professionals have reported that when porous materials like upholstery, clothes and shoes are being treated for odors in ozone chambers, and there is mold growing on them, the mold is not killed in the process. These facts, however, do not seem to discourage some manufacturers from promoting ozone generators for use in mold remediation. Recently, I did air sampling and testing for a client who had purchased several expensive ozone generating units and had them installed in the air-handling systems of a building used by a Christian youth ministry. They found that, although the level of ozone produced was below the levels considered dangerous by the EPA and OSHA, other than some reduction of odor, they had no beneficial effect, and the use of this equipment and the ozone it produced actually caused discomfort for many of the individuals spending time in the building. Commercial ozone generators are generally ineffective for remediation of indoor mold, and may be detrimental to the health of plants, animals and human beings. They may also damage commonly used leather and plastic materials, paints and varnishes, and even electrical wiring. They should not be used in occupied spaces. “Ozone Generators that are Sold as Air Cleaners: An Assessment of Effectiveness and Health Consequences”. That is where you will find our latest diffuser recommendations, as well as directions for using the diffuser and Thieves Essential Oil to address mold in buildings using The Close Protocol. 1. Pinto, Michael, 2005. Article: Ozone Generators and Interior Mold Remediation: A Recipe for Disaster, Cleaning and Restoration, April, 2005. 2. American Lung Association. 1997. Residential Air Cleaning Devices: Types, Effectiveness, and Health Impact. Washington, D.C. January. 3. Sawyer, W.A. ; Beckwith, Helen I.; and Skolfield, Esther M. 1913. The Alleged Purification of Air by the Ozone Machine. Journal of the American Medical Association. November 13, 1913. 4. U.S. Environmental Protection Agency (US EPA). 1995. Ozone Generators in Indoor Air Settings. Report prepared for the Office of Research and Development by Raymond Steiber. National Risk Management Research Laboratory. U.S. EPA. Research Triangle Park. EPA-600/R-95-154. 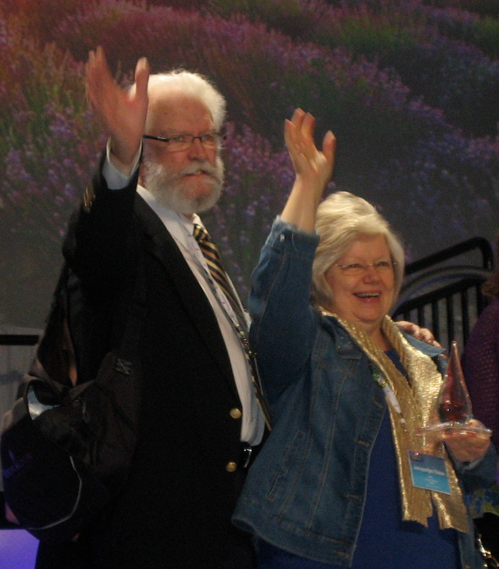 Copyright EJC Advantage LLC and Edward R Close and Jacquelyn A Close, 2010-2014 and continuing. This information may not be reproduced, copied, pasted, or posted elsewhere through any means whatsoever. We invite you to provide a link to this webpage if you wish to share this information with others.